The Spanish tourist bureau in Sweden is following the adventure and writes about the project and my experiences on the camino on their Facebook page. I am excited since this will also help further the project’s fundraiser for Doctors Without Borders. Muy bien!! 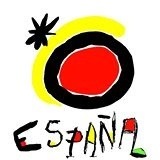 Heres the link to their Facebook page where they will cover Crossing Borders: Spanien i Sverige.